For IT News Week 2 May 2017. 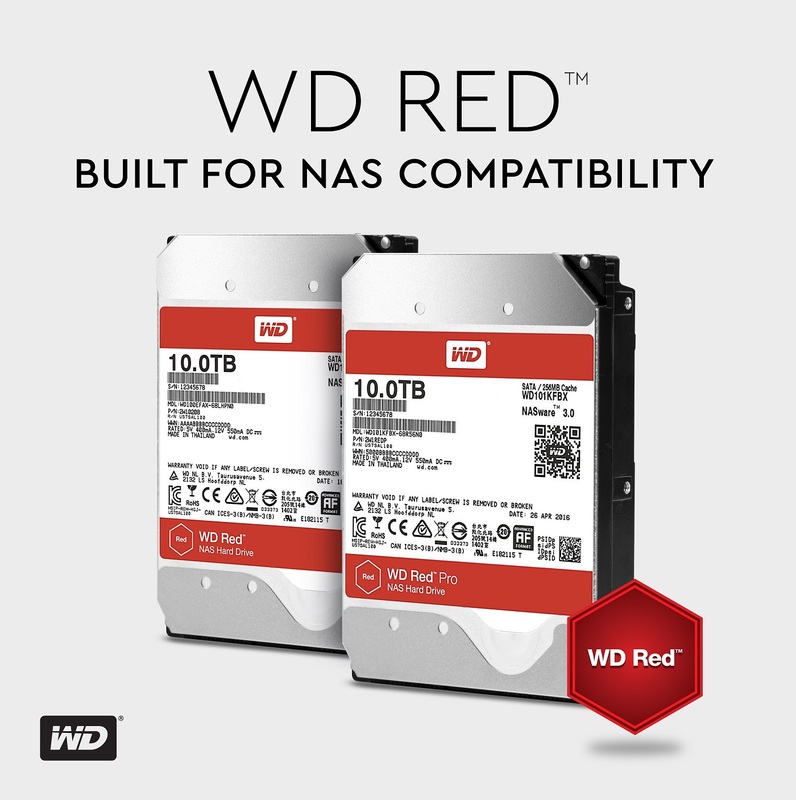 Western Digital Corp., a global data storage technology and solutions leader, today announced the expansion of its award-winning WD Red® and WD Red Pro NAS hard drives lineup with the introduction of 10TB capacity models optimized for use in personal, home and small to medium business NAS systems. Western Digital has shipped more than 15 million helium-based high capacity drives into multiple applications, including for NAS systems, to date and is continuing to support customers with higher capacities and outstanding reliability. The WD Red line of NAS hard drives allow customers to scale up or down to meet their changing NAS storage needs. The new WD Red and WD Red Pro 10TB hard drives are available in July at selected retailers and distributors. The WD Red 10TB NAS hard drives feature a three-year limited warranty and a RM2,249 (inclusive of GST) manufacturer's suggested retail price (MSRP) (model #: WD100EFAX). The WD Red Pro 10TB drives feature a five-year limited warranty and a RM2,449 (inclusive of GST) MSRP (model #: WD101KFBX). Asia’s largest, world’s second largest Business to Business (B2B) computer technology exhibition, COMPUTEX Taipei 2017 will be held during May 30th ~ June 3rd. A global leader in mobile peripherals, PQI of Foxlink Group will be exhibiting at the Taipei Nangang Exhibition Center, booth number J1011a. The theme for PQI’s booth is “Touched by Intelligence”. Through the latest fingerprint biometric technology, we want to turn your digital lifestyle upside down! The word “Touch” embraces PQI’s design methodology that originates from the core, knowing what consumers feel and provide intelligent technologies for everyday life. PQI’s five product lines offer innovation and rich digital mobile entertainment that include PQI Fingerprint, PQI iStorge, PQI Power, PQI Mobility and PQI Storage. The winner of COMPUTEX d&i Award (hosted by iF Germany and Taiwan External Trade and Development Council), My Lockey – Fingerprint ID Encryption will be at the show. With over hundreds of participants from 8 different countries, PQI My Lockey showed innovation and industry leading technology to win judges’ hearts and votes. Live demos at the show allow users to experience first-hand that privacy and data safety is just a fingertip away. In addition, with the becoming popularity of Type-C™ connector, PQI has the complete line of solutions for you! From storage, cables, mobility and hub expansion device, PQI has the solution you need! From daily mobile devices to mobile gaming, Nintendo Switch will have its’ own peripheral products on display. 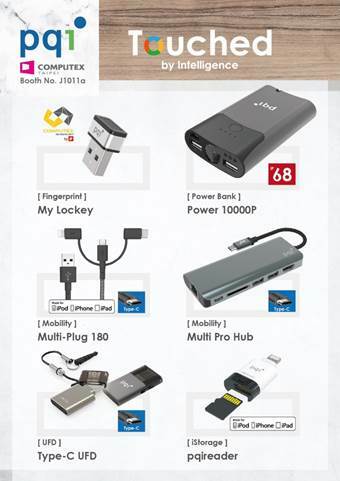 For mobile device’s power needs, PQI has a variety of mobile power banks to ensure your device is always fully-charged and ready to go! At the booth, PQI has set up a free USB charging station for people to charge their devices. So when you’re device is about to run out of juice, come visit PQI for a quick charge! Carbon Black today announced the company’s market-leading endpoint detection and response (EDR) solution, Cb Response, was leveraged during the prosecution and impeachment of former South Korean President Park Geun-hye. Through a partnership with Korean security partner, Naru Security Inc., Cb Response was deployed across all of the special prosecutor’s office’s endpoints and integrated with the network solution ConnecTome to collect data and visualize it end-to-end. From December through February, Cb Response identified and confirmed numerous malicious activities on the office’s endpoints, stopping the potential destruction of critical trial evidence. Park, the first woman to be elected as president of South Korea, was impeached in December and officially stripped of power in March. She was recently indicted on bribery, extortion, abuse of power and other high-profile corruption charges. Former human rights attorney and student activist, Moon Jae-in, was elected as Park’s replacement on May 9. NEC Corporation of Malaysia Sdn. Bhd. today announced that Mandarin Oriental, one of the world’s leading 5-star hotels, has selected NEC’s UNIVERGE SV9500 communications server to upgrade its telephony system in one of its premier locations in Kuala Lumpur, Malaysia. NEC has been providing Mandarin Oriental, Kuala Lumpur with advanced customer service solutions for more than 10 years. As the hotel modernizes its facilities, the management has decided to update the hotel’s communication infrastructure with the SV9500, one of the latest offerings from NEC’s Smart Hospitality Solutions. Siemens, a global technology powerhouse, has launched the new version of TIA (Totally Integrated Automation) Portal, an engineering platform for automation companies to perform automation and drive tasks quickly through efficient configuration. This version 14 of the engineering framework comprises a wide range of new functionalities for digital enterprises and the requirements of Industrie 4.0. These include innovative simulation tools, which shortens time-to-market, additional diagnostic and energy management functions for increased productivity and cloud-based engineering that enables greater flexibility. 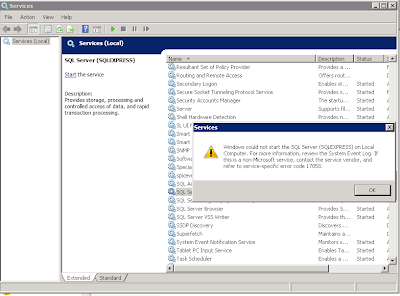 The TIA Portal interacts with other systems and exchanges data through open interfaces. The Teamcenter gateway has a new interface for product data management in Teamcenter, the Siemens data collaboration platform for design, planning and engineering. The user can easily create model-based programs with a new interface to Matlab/Simulink. Silver Peak, the global leader in broadband and hybrid WAN solutions, today celebrated the 400th customer deployment of its award-winning Unity EdgeConnect SD-WAN solution, less than two years from its first customer shipment. The company commenced shipping EdgeConnect in August 2015 and secured its initial 100 customers by May 2016. Customer deployments doubled to 200 by October 2016 and have again doubled to more than 400 today. Approximately 75 percent of EdgeConnect customers are net new to Silver Peak while the remaining 25 percent represent installed-base customer migrations from traditional WAN optimization to SD-WAN and SD-WAN with integrated WAN optimization, Unity Boost. EdgeConnect customers represent diverse segments of the market from small to midsized businesses to global enterprises and cloud service providers. Customer deployments span a range of industries that include: banking and financial services, healthcare and pharmaceuticals, retail and manufacturing and transportation and distribution. A cross-section of new EdgeConnect SD-WAN solution customers include: Fruit of the Loom, Monroe Bank and Trust, Nuffield Health, Paladin Security and Urban Health Plan, Inc.
Rofarez Solutions Sdn Bhd announced today that its newly launched Swan Cloud Accounting, an enterprise-grade business software solution, has been well received and applauded for empowering business owners in managing business finances. “We are pleased that our Swan Cloud Accounting is making waves in the market with its accounting-made-easy features and the enterprise-grade power from Microsoft Azure Platform-as- a-Service (PaaS) and and Infrastructure-as- a-Service (IaaS) for unlimited high volume transactions,” said Rofarez Solutions Sdn Bhd Founder and Chief Executive Officer Reza Ismail. Developed to be easy to use even for those not-too- familiar with accounting and the complexity of being GST compliant, Swan Cloud Accounting has full features that include cash and accrual accounting, sales/purchase invoices, payables/receivables management and aging, financial reports, basic stock movement and even automated Malaysian GST reports and 03 Forms. Swan Cloud Accounting was developed on Rofarez Solutions’ proprietary platform, DappleWorks, which gives it the strategic edge of scalability to customise for high volume transactions without being inhibited by having to pay for rights of proprietary source codes. Cyberattacks on the government sector doubled in 2016, hiking to 14% from 7% of all cybersecurity attacks in 2015. Attacks on the finance sector also rose dramatically from just 3% in 2015 to 14% of all attacks in 2016. The manufacturing sector came in at third place at 13%, while the retail sector, which topped the list of all cybersecurity attacks on all sectors in 2015 moved down into fourth place (11%). The most commonly targeted business sectors for attacks in Asia were finance (46%), manufacturing (32%), education (9%). The most common types of attack targeting Asia were suspicious (60%), malware (12%), service-specific attacks (11%), and website application attacks (5%). U Mobile has launched a brand new postpaid plan called Unlimited Hero P78 at its ‘Unlimited Ideas’ creative showcase today. The new plan is another initiative from the telco to enable its customers to truly enjoy their passions via their smartphone any day, without ever having to monitor their data usage as it comes with unlimited high-speed data. On top of that, Unlimited Hero P78 customers will also never need to cut short conversations with their loved ones or friends as calls to all networks are unlimited, via Call-Onz™. All these benefits are available to customers at just RM78 a month. 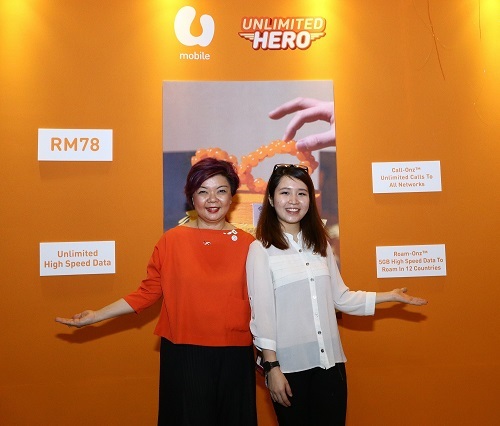 To mark the launch of the new product and service, U Mobile hosted an ‘Unlimited Ideas’ creative showcase where they invited Eunice Martin, the winner of the top food influencer award at Influence Asia 2017, to exhibit her work and share her passion for food styling and photography with the audience. As part of the exhibition, Eunice Martin also created an exclusive food art display inspired by the new Unlimited Hero P78. Teradata, the leading data and analytics company, announced several enhancements to the Teradata Customer Journey solution to help Malaysian companies move towards digital transformation. The solution will provide companies with easier access to analytics, dynamic visualizations, machine learning and predictive simulations. “We want businesses to grow by delivering more sales, reducing churn and improving customer satisfaction. In this release of Teradata’s Customer Journey solution, we are putting more analytics into the hands of marketing so they can build a deeper understanding of the customer experiences and then proactively optimize related journeys,” said Saqib Sabah, Country Manager of Teradata Malaysia. Teradata’s Customer Journey solution helps companies understand and optimize each customer’s experience over time, across all channels and touch points, in real time. Providing marketers with this holistic view, the right analytical insights and built-in automation enables them to execute thousands of concurrent, individualized, multi-channel campaigns without having to add manpower to the tasks. The solution, which combines Teradata’s expertise in data integration, advanced analytics and multi-channel interaction management, boosts marketers’ ability to treat every customer as an individual, increasing response rates, reducing churn and ensuring greater customer satisfaction. 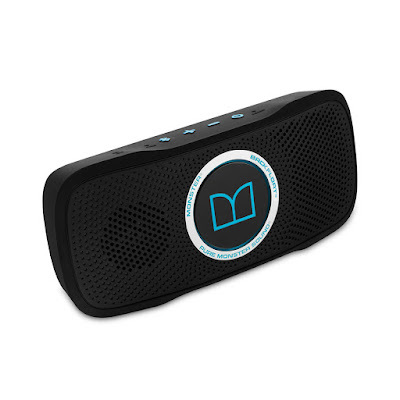 Leading high performance headphones and Bluetooth speakers maker Monster® has announced a new global distribution partnership with Brightstar Corp., the world’s leading mobile services company across 55 countries on six continents. Exciting new products include the Monster’s latest Super speaker – the SuperStar Monster Blaster, Monster’s iSport line of Bluetooth in-ear headphones, and Monster’s value-priced line of Clarity HD wired and Bluetooth headphones. As part of the collaboration, Monster will design and engineer a new line of digital and Bluetooth headphones designed especially for Brightstar and its channels/customers. As part of the collaboration, Monster will design and engineer a new line of digital and Bluetooth headphones designed especially for Brightstar and its channels/customers. In 1979, Head Monster Noel Lee invented the modern-day speaker wire in his garage on a quest for mind-blowing sound. Monster's first passion was audio, and you can feel that love in every high-performance speakers Monster makes. Whether it’s portable or whole-house wireless audio, Pure Monster Sound® delivers the experience you want. 11street, one of Malaysia’s largest e-malls, boosted its book inventories through the signing of a Memorandum of Understanding (MoU) with the Malaysian Publishers Association (MABOPA) at the Kuala Lumpur Lifestyle Exhibition last week. The MoU aimed to bring in more publishers aboard its e-commerce wagon through 11street’s first-ever online book fair, ‘Pesta Buku Online’, and was signed by President of MABOPA, Ishak Hamzah and 11street’s General Manager of Merchandising, Lyle Yoo, witnessed by Abdul Wahab Ibrahim, Director, Permanent Secretariat of National Book Council, Malaysia. (L-R) : Ishak Hamzah, President of MABOPA (left) handing over the signed Memorandum of Understanding to Lyle Yoo, General manager of Merchandising, 11street (right), witnessed by Abdul Wahab Ibrahim, Director, Permanent Secretariat of National Book Council, Malaysia. The ‘Pesta Buku Online’ campaign came at the back of 11street’s recent finding that Malaysians have taken an increasing interest in purchasing books and media online. “Our recent campaign gave us a very surprising insight about Malaysian consumers, whereby product categories such as health and beauty; fashion; and electronics have always been the three most purchased by consumers. But now, consumers have also started looking into buying more books and media online,” said Lyle Yoo, 11street’s General Manager of Merchandising. The campaign included exclusive online promotion to benefit some 1.3 million students in public and private universities in Malaysia, as they are eligible to enjoy discounts with their KAD Siswa 1Malaysia (KADS1M) for low prices, fantastic choices for books and media products on the 11street platform. Ishak Hamzah, President of MABOPA said: “The book industry is no stranger to the technological change. In fact, the industry has evolved over the years to cater to the ever-shifting atmosphere, and now it has come to the booming era of social media marketing for books. In conjunction with this new partnership, from now until 19 May, MPH Bookstores rewards book lovers with discounts up to 70% on local and international titles, including new arrivals and bestsellers; along with “Buy 1 Free 1” promotions and value buy deals from as low as RM8.